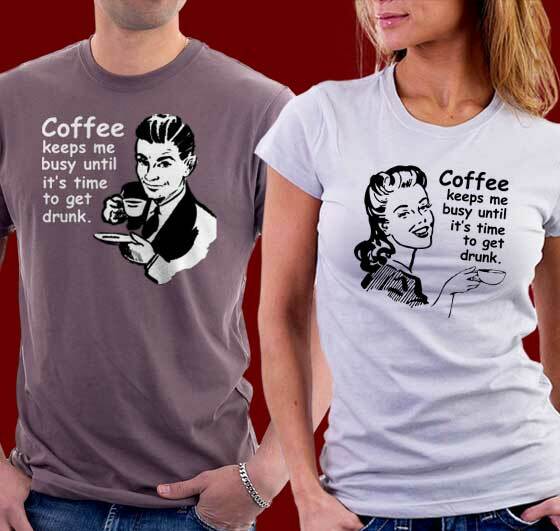 Coffee keeps me busy until it's time to get drunk. Loaded with attitude and nostalgic humor these retro designs for men and women are simply awesome. We have two different designs for men and women. Perfect for coffee drinkers with attitude!